Keep in the mood long after Valentines with the Dimplex DXAD100 Electronic Aroma Diffuser. 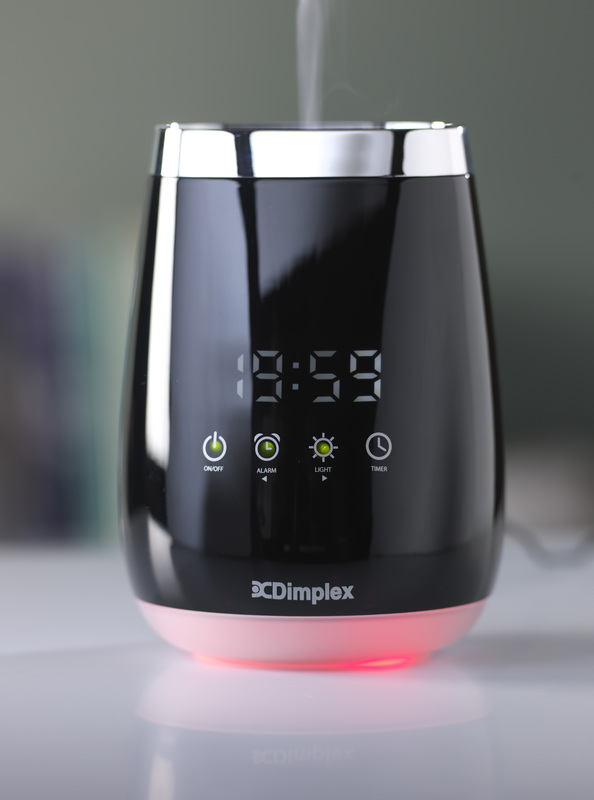 The Dimplex Aroma Diffuser uses whisper quiet ultrasonic cool mist technology to scent your room by adding a few drops of your favourite aromatherapy oil. It will also subtly humidify the air for up to five hours with just 100ml of water. Increasing the relaxing effect of the DXAD100 are colour-changing LED mood lights set in the base which subtly illuminate the room. Choose your favourite tint to set the mood or let the lights calmly cycle through a rainbow of colour. With the DXAD100’s digital alarm clock function you can be eased awake with the gentle play of light and scent, or use the timer functions to delay start, freshening your room before you get home. A three hour runback timer ensures the Diffuser switches itself off for convenience.